The balance of trade (BOT) is the difference between a country's imports and its exports for a given time period. Surplus arises when exports are more than imports. Deficit occurs when imports are more than exports. 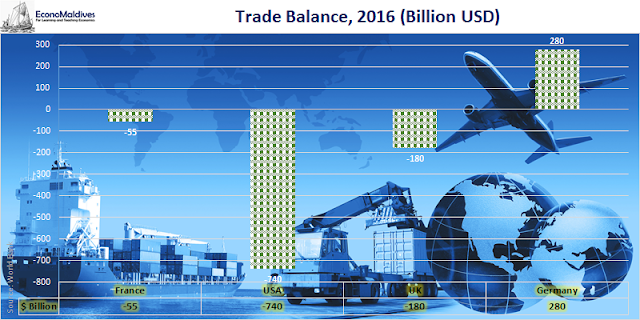 The balance of trade is the largest component of the country's balance of payments (BOP). Germany has a Trade Surplus of USD 280 Billion in 2016 while USA has a Trade Deficit of USD 740 Billion in the same period.